So how are our souls trained in love to God? Matthew 22 recounts a Pharisee asking Jesus, “Which is the great commandment in the Law?” Jesus replied, “You shall love the Lord your God with all your heart and with all your soul and with all your mind.” We would expect matters of religion to involve the heart and soul, but Jesus tells us also to love God with our minds. Loving God with our minds is what the Apostle Paul meant when he wrote to “take every thought captive to obey Christ” (2 Cor. 10:5). When we think Biblically, it affects what we think, why we think, and how we think. First, we believe the world around us was created through Jesus and for Jesus. "All things were created through Him and for Him. And he is before all things, and in Him all things hold together” (Col. 1:16-17). All that He created is good (Gen. 1:31) and everything in the world belongs to and relates to its Creator. He reveals Himself through both general revelation, by the things He has made, and through special revelation in the Bible. Thus, Scripture is the lens through which we interpret the world. To think Biblically is to seek to understand the world - its people, it problems, and Biblical solutions - all in the light of God’s Word. We want to think Biblically because it reflects the image of God when we do. The Bible tells us that we were made in His image. We were commanded to have dominion over the earth (Gen. 1:26). Part of obeying this command means to understand the world and everything in it as best we can. Because God made everything for His own glory, thinking Biblically should lead us to a greater understanding of His character. Toward this end, we encourage our church family to love well, think deeply, and let their ministries - both individual and corporate - overflow from the knowledge of God in their hearts and minds. We encourage our members to be devotional, to be prayerful, to be conversational – and to be readers. We publish weekly Covenanter devotionals and distribute Table Talk devotionals monthly. Together we study great books written by dead theologians, we have meals and roundtable discussions, we hold prayer meetings, and we commit ourselves to the exchange of ideas as we grow in Christ together in church life. Our ministries flow from the Word of God and from the grace given to His people, taking the form of one of the following six types: Worship, Discipleship, Evangelism, Mercy, Hospitality, and Stewardship. Worship is our chief purpose and primary ministry as we meet together morning and evening each Lord's Day to glorify God. We train believers to be worshippers and followers of Christ and equip them to be faithful witnesses of God. We share the good news of the gospel at home and abroad and pray for the extension of God's kingdom. We care for the physical and emotional needs first of those in need within our church that we might love one another. Then this love extends to other believers and to the world. Hospitality is one of the great Biblical virtues. We seek to open our homes and hearts to one another such that our lives are woven together as a family of families. Stewardship begins with the awe-inspiring admission that God is the giving source of our building, our finances, and our lives. We seek to glorify Him in stewarding His gifts. “Bread of life. Bread of fellowship. Bread of mercy.” A return to tradition … flowing from our Christian Heritage in the rich streams of the Reformation, every first Sunday we gather around our Father's table to commune with His Son Jesus Christ. After worship, we join with other believers at a table of fellowship, and then together, we help set a table of mercy for those less privileged in our city. Music is perhaps the nearest art to the great art of theology. It is a powerful and appropriate means of worship, and as we seek to make our music and our worship excellent to God, our music ministry is very important. Martin Luther said, “The gift of language combined with the gift of song was given to man that he should proclaim the Word of God through Music.” We welcome singers and instrumentalists to join us in the worship of Almighty God. Explore a treasure trove of literature with the women of Christ Covenant as we explore great Christian books in a variety of genres including theology, biographies, topical studies, and fiction. Share in the pleasure of discussion with like-minded sisters in one another’s homes. We meet monthly every 2nd Wednesday 7-9 PM. Travel mugs welcome! Delve into a great historical work of theology every month, and savor the "iron sharpening iron" pleasure of discussing it with like-minded brothers around our outdoor firepit (back right corner of church parking lot.) Tobacco welcome. Meets monthly every 3rd Wednesday 7-9 PM. Thursdays 6:30 a.m. - 7:30 a.m. at Bistro 150 in Oak Ridge. Dr. Neil Stewart will be leading men through the I John. Members and visitors alike are welcome. Our youth (6th-12th grade) seek to glorify the Alpha and Omega as they journey from guilt to being "saved by grace, alive with gratitude, and bound for glory." Grace. Gratitude. Glory. These are the 3 Gs. Our youth center their time together around the Word of God in Sunday School each week. Youth discipleship is so important to us that our Senior Pastor devotes his time to teaching this very important class on Sunday mornings. And whereas we value the age-integration of all of our ministries as a church, we recognize the value of gathering with peers from time to time. Youth gatherings have a variety of themes and are hosted monthly either as large group gatherings or as smaller home groups. Check Upcoming Events at the bottom of our home page for the next event!! Children's Church is geared toward ages 3-6. These preschoolers and early elementary students join us for the first half of worship and are dismissed at the Doxology for Children's Church where they will enjoy a rich journey through Scripture with "The Gospel Project" including stories, activities, a snack, and a craft that all enforce each weekly message - all of which point to Christ and the covenant promises of God. Our Clapham Circles take the shape of monthly dinner gatherings for 8. In the great tradition of Clapham Circles, our Circles are a network of friends, bound together by shared faith and love for one another, who spur one another on in their zeal for the Lord and His work. Join a Clapham Circle at any time! Tuesdays 9:30 a.m. - 11:30 a.m. (spring and fall) in the church's main building in classroom "Adult II". All women are welcome! Geared toward ages 3-9, regular gatherings abound for special occasions such as Christmas, Easter, summer break, back to school, etc. See calendar for upcoming events! Our women are involved across all ministries in the church, but we also enjoy time together in frequent informal times, mentoring relationships, and celebrations for new moms and new brides. In addition, our ladies cherish time together each month in our Hearthside book study. As Christians we recognize the inherent value of life in unborn babies and their mothers - both made in the image of God. We long to see the lives of both cherished in love and mercy. Thus, we are regular supporters of Greensboro Pregnancy Care Center through our time, our people, and our finances. Room at the Inn provides comprehensive care for homeless pregnant women during their pregnancies and after the births of their babies. In addition to meeting their physical needs, training and counseling in a structured environment give these mothers the tools they need to find hope and make a home for themselves. 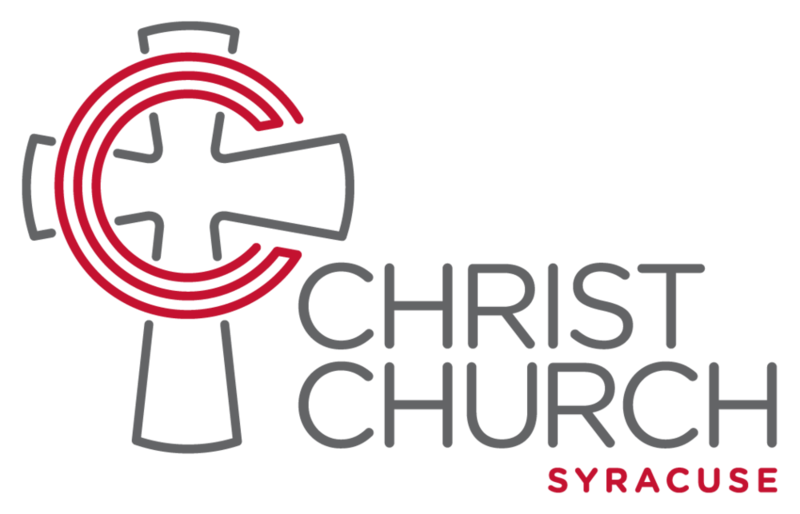 All the proceeds from our annual Troubadour's Christmas Concert go to support this ministry. We know the importance of good Christian friendships for our youth, so we value regular youth gatherings throughout the year by which our youth can connect, make Christian friends, and simply enjoy life together. We also gather our youth together in Sunday School where our pastor takes the lead role in teaching the youth Sunday school class on a myriad of topics including the Bible and its message, the Christian World and Life View, how to cultivate their walk with God through Bible Study and prayer, how to share their faith, how to survive the spiritual challenges of college, and how to think through their own sense of calling/vocation to serve God as they grow into adults. These times of togetherness are valuable for our youth, BUT one of the lynch pins of our philosophy for youth discipleship is the importance of transgenerational interaction, teamwork, and mentoring. In our increasingly compartmentalized world, it is too easy to separate our youth into age segregated ministry groups. We believe this does not serve our young people well, robbing them of the wisdom of the fathers, mothers, and grandparents of the congregation. Outside of Sunday School and youth gatherings, we seek to see our youth mingle with the congregation elbow to elbow in worship, prayer, and ministry as they pursue God's glory and GROW TOGETHER. Evangelism is the ministry of the great commission - making disciples of all nations. At Christ Covenant we gather for worship and we scatter for evangelism. Each week we gather for worship and then scatter to our various communities and vocations where God gives us opportunities to share Christ during the intermittent week, so much of our evangelism takes place quietly and informally. While God calls all of us to the ministry of evangelism, some among us are called to full-time evangelism either in our country or abroad. Thus, we recognize and support three different areas of evangelism: (1) PERSONAL - our members sharing the gospel weekly as they "gather and scatter", (2) DOMESTIC CHURCH PLANTS - called pastors among us are sent out to plant new churches across the United States, and (3) FOREIGN MISSIONS - those called among us go to other continents to reach unreached people groups for Christ and to minister to them in His name. This is the story of the personal evangelism of just one of our member families and their love for an orphan boy they adopted into their home and now call "son." We delight in sending men and their families out to plant and pastor fledgling churches in America. These church plants are carefully selected, and we love and support them wholeheartedly with our finances, resources, and prayers. As part of the great commission, we want to see the gospel of Jesus Christ proclaimed to every tribe, and tongue, and nation. Please join us in praying for our own members who are abroad investing in peoples who are largely unreached. Your prayer is the most important tool in their ministries!